Today I want to show you an ATC. The image was the one proposed for the weekly exercise in the Copic Marker Spain FB group, and I thought it was good one to try going out of my confort zone (not cute). What an awesome scary witch! Great colouring and card design! Thank you for joining us at TTCRD this week! Your card is amazing ! Wow, sehr außergewöhnlich. Super gelungen. Love the sentiment and the trim. She is beautifully creepy! 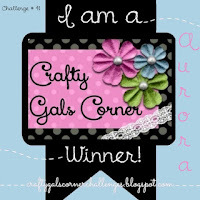 Thank you for joining us at Crafty Gals Corner for our Witches, Ghouls and Goblins challenge. Your coloring of her is great, you brought her to life - yikes ! Lol. This is great, thanks for joining us at Wicked Wednesday. Wow! This image is definitely not for me, but your coloring is stunning! Great job. And I like how you framed the image with that cording. Thanks for playing with LTSCB. 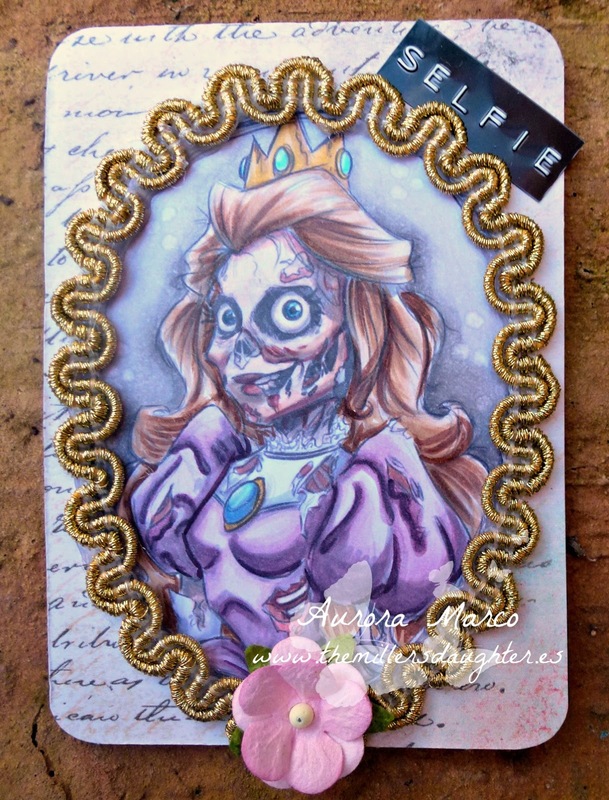 Love this "selfie" halloween coloring! Thanks for join us at timbroscrapmania challenge this month! wonderful and spooky card, Aurora! Wow, this is so cool and wicked. Love how you colored her. 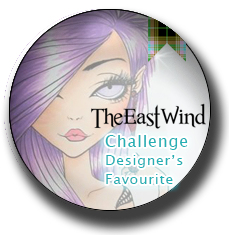 Thank you for joining our challenge at Craft Your Passion. We would love to see you again! oh mamma .... davvero inquietante complimenti grazie di aver partecipato alla sfida su TSM.